Back when my husband and I were first married, we were barely making ends meet. As a result, we didn’t spend a lot of money on luxuries and we had to be more creative with our gift giving. That’s when I made my husband’s first coupon book, which ended up being his favorite gift ever. Since then, I’ve discovered it wasn’t as unique of an idea as I thought, because I see it everywhere. However, even after 21 years of marriage, these love coupons are valued above any other gifts I give my husband — perhaps more so now that we have jobs, kids, and other people vying for our time and attention. Because he still looks forward to them, I continue to create a new batch each year. What great ideas. 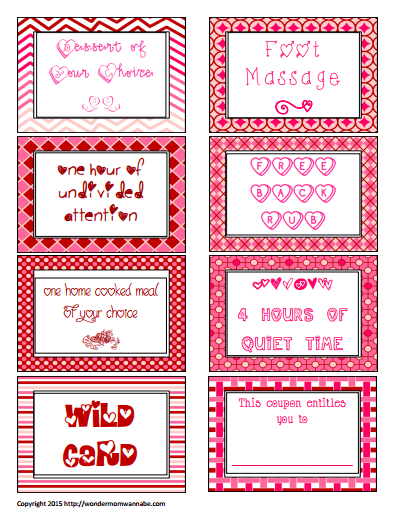 Thanks for the cute printables! Glad you joined up in the Best of the Blogosphere link up! Hope to see you again next week! I see great coupons I would love to claim here! 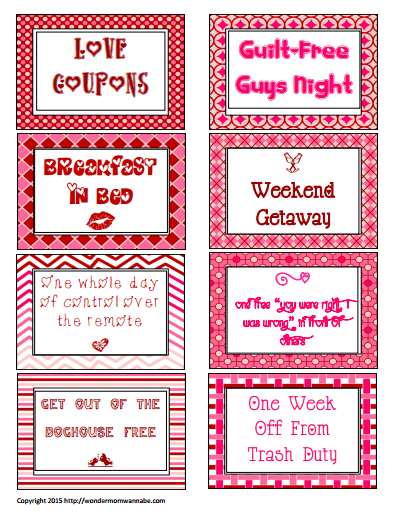 Thanks for linking at #bestoftheblogosphere and happy valentines! What a great idea, Corinne. I can see why your husband appreciates this gift.